We were looking for a shorter Ontario river system this year, do-able in a week or so and with uncomplicated logistics while still with having the feel of wilderness. In the Steel River system in the Lake Superior High Country to the north of Terrace Bay, we found it. All images enlarge with a click; all blue text leads to more info. Actually, what we found first was Rob Haslam’s post “Steel River Maps” in the Ontario Trip Reports section of the Canadian Canoe Routes forum. In the post, Rob provides the most up-to-date and detailed information on the river – everything from portages to campsite locations to rapids and swifts and logjams. That was easy! The bulk of our research was done! Eventually flowing into the north shore of Lake Superior, the Steel River system is smack dab in the middle of the very scenic High Country between Marathon and Terrace Bay. We have driven past it a few times on Highway 17 on our way up to and back from Wabakimi or Woodland Caribou. 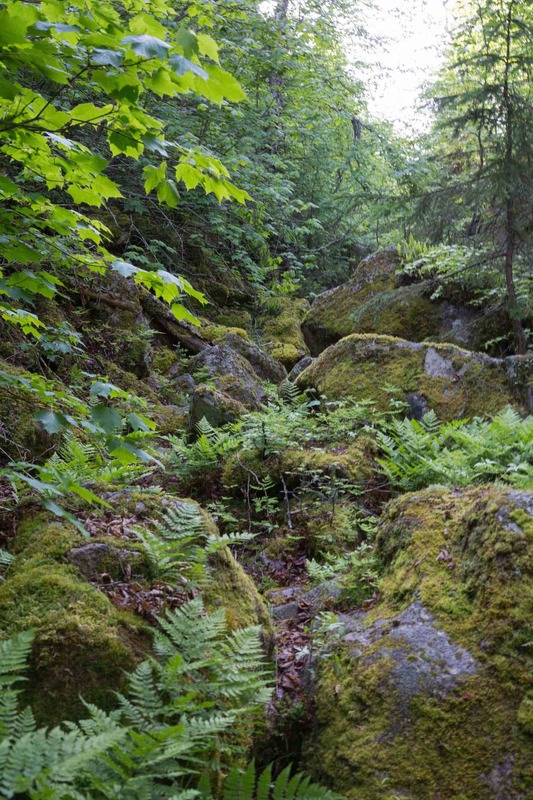 It makes up the core of Ontario’s Steel River Provincial Park, which is categorized as “non-operating” since it is not staffed by anyone and does not have maintained campsites or portage trails. This wishbone-shaped park consists of long, narrow lakes, rugged cliffs, ravines, swamps, ponds, oxbow lakes, and a 20-metre waterfall. Great blue herons nest on the islands of Cairngorm Lake. Park Facilities and Activities: There are no visitor facilities. Backcountry camping and canoeing are recommended activities. Location: Twenty-four kilometres east of Terrace Bay, off Highway 17, above Lake Superior’s north shore. Even better, we could paddle away from our vehicle on Day One, paddle down the 170 kilometers of the river over six or seven days, and end up right back where we started. It sounded like the canoe trippers’ version of a Penrose Staircase! Escher would be interested! More research revealed that the Steel river loop was a tripping favorite of Cliff Jacobson, who has done the loop at least eight times since his first in 1976. 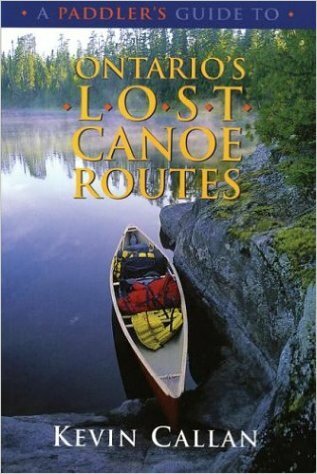 I had a couple of his books in the canoeing section of what is left of my hard copy library and was impressed by the scope of his paddling adventures so his recommendation meant something. my bro Max at the Santoy Lake Put-in On Day One – calm waters at the start!! 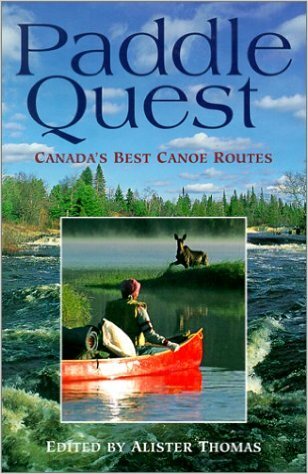 Sitting next to Callan’s book on the public library bookshelf was PaddleQuest, a compilation of various writers each describing one of thirty-seven of Canada’s best canoe routes. Edited by Alister Thomas, the book, published in 2000, provided yet more fuel to stoke our interest. 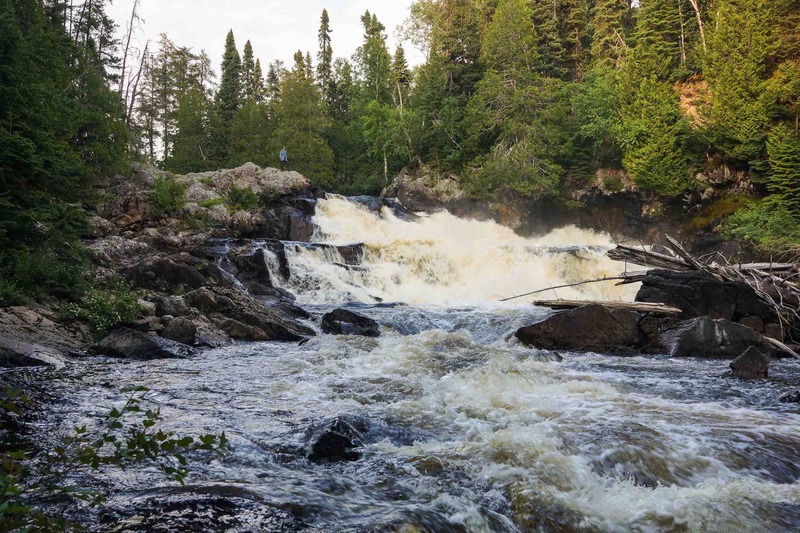 The Steel River offers a remarkable 170-kilometer adventure just north of Lake Superior, all in one loop, beginning and ending on Santoy Lake. In many respects, this is a superb wilderness river: remote, clear, lots of flatwater, and manageable whitewater, between 15 and 20 portages…A marvellous river indeed, but not a trip for novices without sufficient whitewater and portaging experience. Yet another positive recommendation to clinch the deal! It was time to look more closely at all the maps available to get a handle on the trip! As mentioned, Rob Haslam’s maps are the obvious starting point. They are based on the Garmin Topo Canada maps and have all portages, most campsite possibilities, and the locations of the four major logjams on the lower Steel indicated. Haslam knows the river and has done the entire loop a number of times, the last trip being in 2012. We would find his information totally reliable and very helpful in dealing with the challenges of the river. As well as paper copies of the federal govt. topos, we each have a Garmin GPS unit – the Oregon and the Etrex 20 – with the latest Garmin Topo Canada v 4 maps on it. (It is listed at an amazing $181. CDN in early 2018. We paid $110. back in 2011.) While not quite as accurate as the maps above, they serve as back up and provide a ready answer in those situations where you just can’t figure out exactly where you are! We also like the waypoint and tracking features and the way it archives each day’s progress. If I didn’t already have a GPS unit, I’d be tempted to get the Delorme Inreach Explorer, which serves as a two-way communication device and also has many of the features of a GPS unit. We have been using the Spot Connect over the past five years to provide GPS tracking and nightly brief email message to the folks back home. With Haslam’s maps, a GPS unit, and relevant bits of the 1:50000 topos in your map case, you would have all you need to take on the Steel River loop. We have also uploaded the gpx file of our Steel River Loop waypoints (along with a number of points noted on Haslam’s maps). You can download the 66 kb .gpx (Garmin format) file as a 5 Kb zip file from my Dropbox folder here. 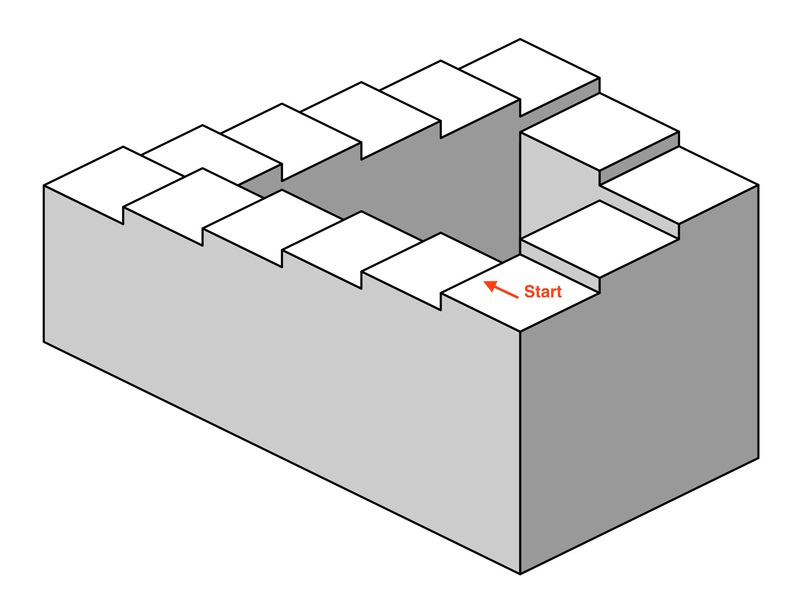 Needless to say, that nifty 2-D Penrose Staircase shown above cannot exist in reality! In their trip reports, all of the above paddlers are quick to point out the one thing I haven’t mentioned yet – the price to be paid to get to that starting square for the ride down. Known as the Diablo Portage, it is an 1100-meter carry from Santoy Lake (249 m asl ) to Diablo Lake (348 m asl) and involves a 100-meter gain in altitude. Another 10 meters of altitude gain from Diablo Lake to Cairngorm Lake via three more portages and you are in the true headwaters of the Steel River system. Some work will be required! We repeated our canoe tripping mantra – ” we’ll git ‘er dun” – a few times as we looked in amazement at the contour lines bunching up close to each other between Santoy Lake and Diablo Lake. We knew it would be the price of admission but embraced it as only those who don’t really know can! Update: August 2018. A four-man Anishinaabe crew from nearby Pic River just worked on the portages from Santoy Lake all the way to the south end of Steel Lake. This should make things easier for the net few years! See my Day One – Diablo Portage post for more info. 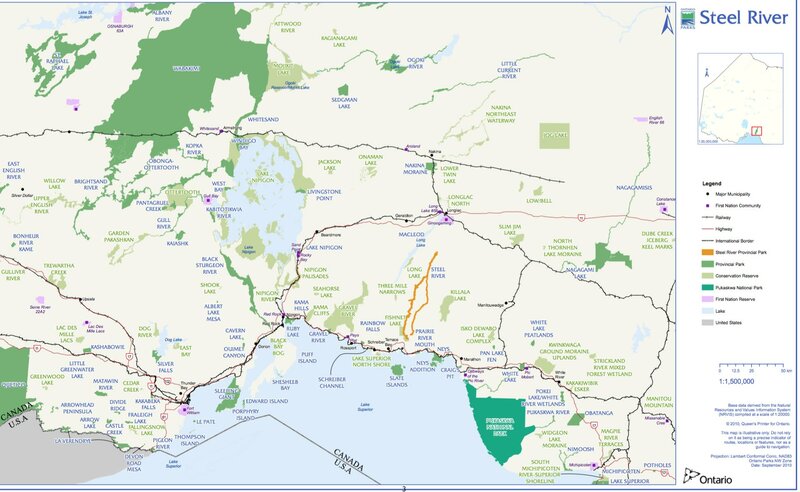 There are two main approaches to the Steel River system – a northern one via the Catlonite Road off Highway 11 to the east of Long Lac and a southern one a few kilometres off the Trans-Canada Highway (Highway 17) east of the town of Terrace Bay (or west of Marathon for those coming from the east). Rob Haslam describes this approach in the post referred to above. Beginning at one of the lakes from Grehan to Eaglecrest (Haslam gives directions on how to get to Eaglecrest), you paddle down the Little Steel River system to the point where it meets the Steel River itself. 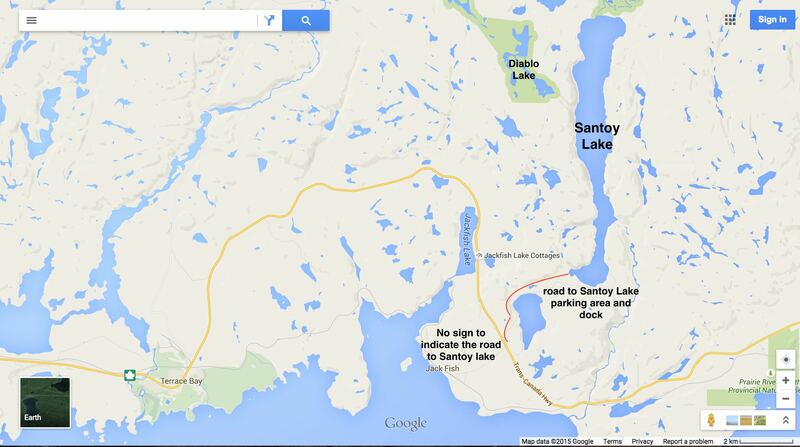 Then it is all the way down to Santoy Lake and the Diablo Portage. After your little tussle with the devil, it is mostly lake paddle all the way back north to your vehicle. Among the plusses of this approach would be the chance to get into trip-shape before you hit the Diablo Portage. There is also a southern approach off the Trans-Canada Highway. This was the option we chose for our Steel River loop. While the driving distance from Toronto to Longlac is about the same as that to Santoy Lake, we liked the idea of getting the worst of the trip done first. Also, the ride into the Santoy put-in point from the highway is much shorter than the 50 kilometers of the Catlonite Road from Highway 11. Given that there is no sign indicating the side road that goes to Santoy, we drove right by the turn-off and had to come back at it from Jackfish Lake. The gravel road leads to a fair-sized parking area, a dilapidated dock and boat launch ramp in a bay on the south shore of Santoy. You are not yet in the park at this point; it only begins near the far end of the Diablo Portage about 100 meters from Diablo Lake. Our vehicle was the only one in the parking lot the day we arrived; on our return a week later there were a few more. On the lake itself, there are a couple of cottages at the north end, as well as a trailer camp on the east side. Now to get this canoe trip on the water! It started with an hour’s paddle up Santoy and then our “uplifting” experience on the Diablo Portage – and we got to do it in the rain. 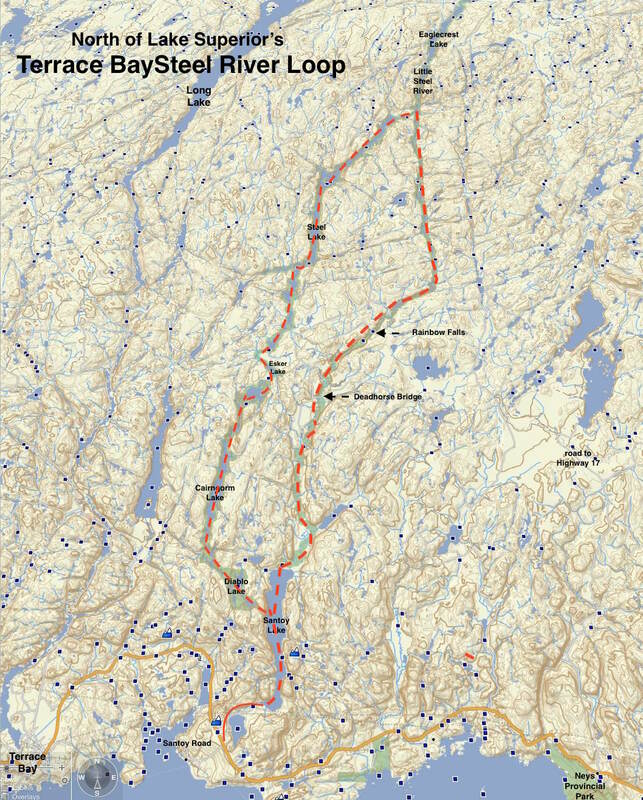 This entry was posted in wilderness canoe tripping and tagged Diablo Portage, Eaglecrest Lake, Haslam Steel River maps, Santoy Lake, Steel River canoe trip report, Steel River Loop, Steel River Provincial Park. Bookmark the permalink. I am looking into doing the Steel River loop this summer in early August. I was curious what the water levels were like for you during your trip. Were there long portions of very shallow water? Also I am curious about the overall fishing of the route. I appreciate your in-depth description of your trip. Hope to hear from you. Noah, Excellent choice of a nice compact canoe trip with a little bit of everything. Nice to hear you found the day-by-day report useful. With a copy of Haslam’s maps and notes you really have all you need to make the trip a reality. Re: Water levels. we did the trip in July of 2015. It was never very shallow. We never had to walk our canoes. The first part of the trip – from Santoy Lake to Diablo lake to Cairngorm Lake to Steel Lake – is obviously not a problem! The stretch back south after the Big Turn is where you have a river and even there narrow stretches are interspersed with lakes. I’d guess that water levels in early August will be marginally lower than they would be in mid-July though I’m not sure how this year will compare to last. I’d say that water levels will not be an issue and if they are it will be in spots near sets of rapids where you might want to line or portage anyway. Re: fishing. I am told it is excellent though I do not fish – or, as a vegan, even eat fish! What a waste of a great fishing spot, eh! If you check out Rob Haslam’s report he may have a comment or two about fishing. Enjoy your trip -and when you post a trip report send me the link so I can add it to my list of useful links on the river. If experience is there, would you recommend a Kevlar Canoe? Bryan, we took our 42-lb. Swift Dumoine Kevlar/Carbon Fusion on the trip and had no regrets. There are no extensive rock-strewn rapids to deal with – lots of swifts and Class I on the part of the trip when you start heading south. If the water level is too low, lining it would make a good option. You’ll be glad not to have a 75-lb. Royalex on your shoulders – total overkill for this trip! – as you do the three kilometers of portages in the first three days and then – at the end of the trip – deal with the awkward up-the-banks carries around the four log jams. Whatever you take, enjoy your week on a river system that has a bit of everything! Let me know how it went! Mike, you’ve picked a nice little river! The portage trail clearing done in the summer of 2018 will make the bit from Santoy Lake to Steel Lake a bit more obvious for the next four or five years. Re: water levels. I don’t think an August trip date is a problem. It is not an issue from the put-in at Santoy all the way to the Steel/Little Steel confluence (mistakenly labelled Aster Lake in some trip reports). 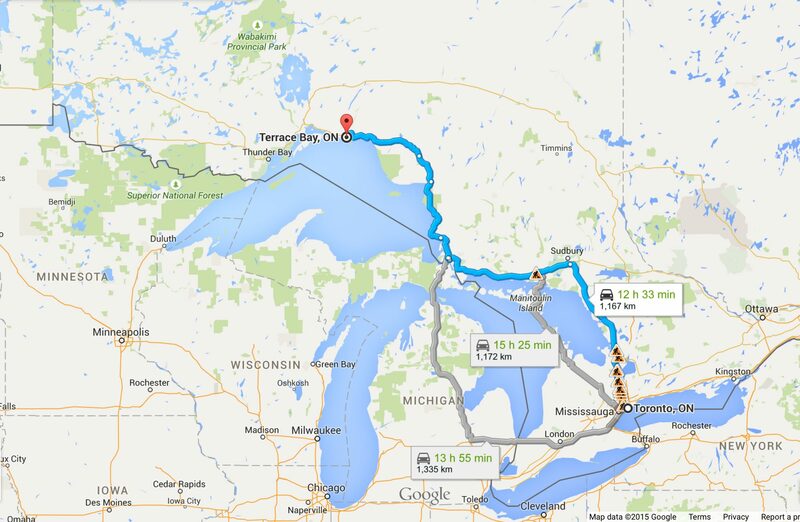 That stretch is mostly made up of a string of lakes. South of the confluence there are a number of narrow lakes connected by stretches of fast water, swifts, and C1 rapids. I don’t think water levels will be an issue even there. At worst, in some spots you may have to walk the canoe down a short distance. Enjoy the trip – we talk about doing it again! Thanks for your input and advice, True North. This trip is starting to come together nicely and because of guys like you and Rob Haslam, the information to plan it has been excellent. I’ll definitely post an update about the Steel next August/September. It is early November and you’ve already got the seed of next year’s adventure planted. 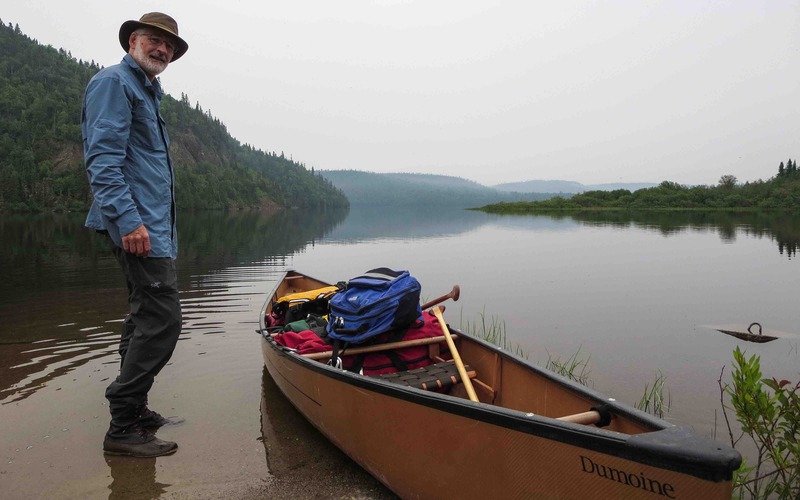 Meanwhile, I haven’t even uploaded my pix and maps from this year’s ten-day paddle! Ramblin Boy. thx for the mention in your updates. In actuality we have cleared out the portages all the way up to Aster Lk. then south from the Deadhorse Road bridge to Santoy. This spring we are going to do the section from Eaglecrest down to the Deadhorse Creek bridge. We are also cleaning up and signing the campsites where possible and installing “boom boxes”. We have tried to clean the portages fairly wide so that it will last a while but as you know blowdowns are common on any portage or trail. We did not do, nor do we intend to, clean the Diablo Portage. Instead we have created access to Diablo Lk through a series of lakes at the NW side of Santoy. It will probably add another day to the trip but it is much safer. Specially when taking youth. Because of the extra day we have also created a campsite with a boom box on Diablo Lk. We are creating our own canoeing map for the Steel. It should be ready this summer. Miigwetch. Happy canoeing. I’m a canoeist myself. Duncan, ahneen and thanks for your hard work. Canoe trippers appreciate it! We may do a second run down to see the difference the “new and improved” trails make. Thanks so much for all your hard work. My friend and I are planning to do the route late this summer, and hearing this is just making the thoughts much more enjoyable. I look forward to seeing your map when you have finished it. Please keep TrueNorth updated with all your hard efforts.